The signing of the long-delayed agreements for 27 renewable-energy projects in April, procured by the Department of Energy in 2015, is arguably the first tangible signal that ‘Ramaphoria’ may well be starting to have positive spin-offs for the embattled domestic project economy. 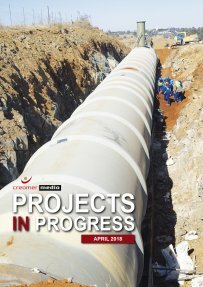 What is needed now is for the various obstacles blocking the investment runways in the other key sectors covered in Creamer Media's Projects in Progress 2018 (First Edition) to be progressively cleared. This will require not only policy certainty but, in some instances, also an entire overhaul of the policies that are failing to create the confidence required to stimulate the investment needed to lift South Africa from its low-growth flight path. Published on: 27 April 2018.